AAS Journals have adopted a policy that reflects the importance of software to the astronomical community, and the need for clear communication about such software which ensures that credit is appropriately given to its authors. The policy provides clear guidelines for citing software in all manuscripts, and supports the publication of descriptive articles about software relevant to research in astronomy and astrophysics. 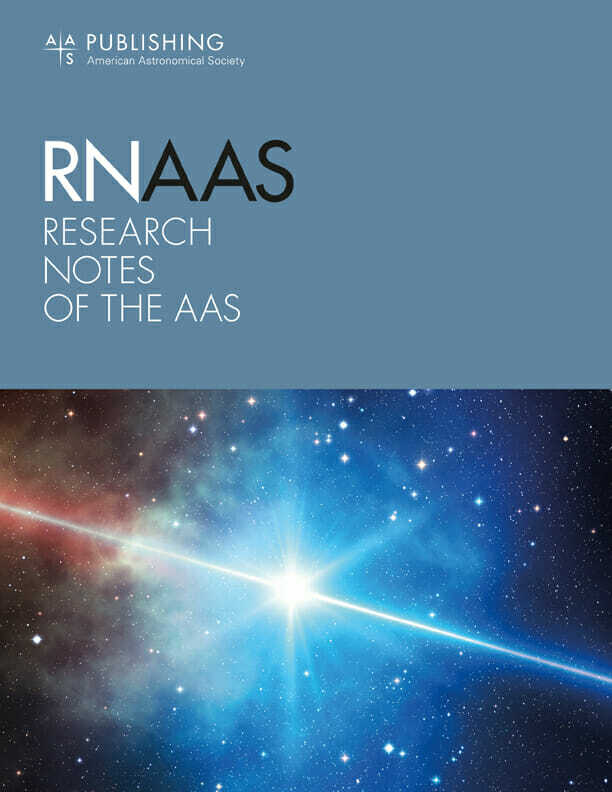 AAS Journals welcome articles which describe the design and function of software of relevance to research in astronomy and astrophysics. Such articles should contain a description of the software, its novel features and its intended use. Such articles need not include research results produced using the software, although including examples of applications can be helpful. There is no minimum length requirement for software articles. If a piece of novel software is important to published research then it is likely appropriate to describe it in such an article. We highly recommend that authors release code described in an article under an appropriate open source license (see http://opensource.org/faq#osd or http://choosealicense.com/) and archive the published version of their code using a service such as Zenodo (https://zenodo.org/) or FigShare (http://figshare.com/) which will provide a unique digital object identifier (DOI) and ensure that the code is accessible in the long term. However, any articles which provide a clear statement on how to access the code – for example, by contacting the author – are acceptable. Workflows for publishing code with a DOI include Making your Code Citable from GitHub & Zenodo. Ideally, both forms of citation should be included. The former extends credit to the authors for their publication and tells the reader where to learn about the software. The latter gives the reader access to the exact version of the software used in the project. These forms of citation are intended to allow authors to properly reference their use of software; alongside these formal references, they may also want to include links to appropriate code repositories, such as GitHub, or indices, such as the Astrophysics Source Code Library. This is analogous to acknowledging a major facility or instrument and is done for the same reason, to give credit to a project which is generally useful for the community. The AAS journals do not ask referees to directly review the software described in papers published in our journals. However, as described in Vishniac & Lintott (2018b), we have partnered with the Journal of Open Source Software, who will accept companion papers for software review for suitable packages. Upon acceptance and publication of both papers, we will link to the JOSS paper, providing readers with further assurance that the software is of an excellent standard. Authors who wish to take advantage of this partnership should note this fact on submission or contact the relevant scientific editor.